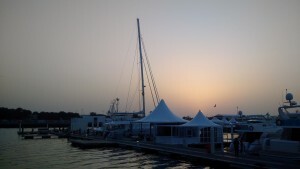 We are currently preparing for the Dubai International Boat Show (DIBS 2016) in the United Arab Emirates. With 23 years of maritime history, the Dubai International Boat Show (DIBS 2016) is established as the MENA region’s number one marine luxury, leisure and lifestyle industry event. DIBS 2016 sectors will allow more than 30,000 visitors from over 120 countries to experience elite superyachts, leisure crafts, interactive watersport activities and exotic supercars, as well as luxury & equipment supplies and services.